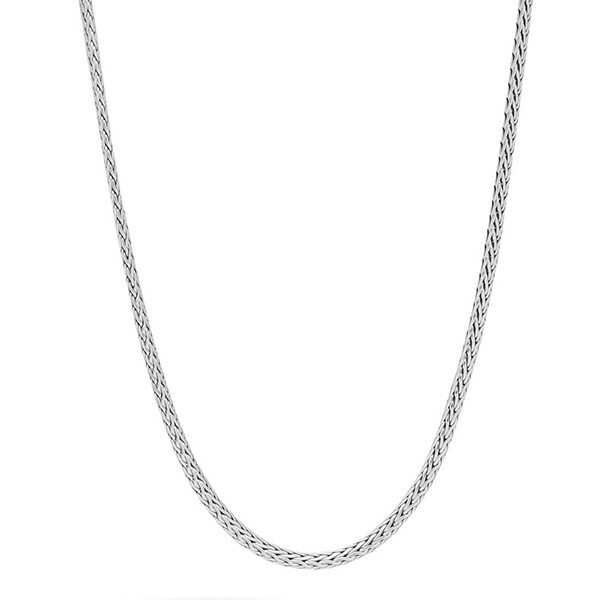 John Hardy's Classic Chain collection features this 2.5mm necklace. Handcrafted meticulously in sterling silver, each link is handwoven for a flexible design that drapes beautifully around your neck. A sterling silver lobster clasp will keep this necklace securely in place. This fabulous necklace is a great John Hardy piece that will complement any outfit!